Auckland Family & Wedding Photography | L&G Images - Islas First Birthday and Four Generations. It was lots of fun photographing Isla for her first birthday, she was so photogenic and would smile whenever we told her to clap her hands. As it was a miserable day outside Jade and I had fun turning the living area of her house into a pretty set, the natural light and airy feel was perfect for the indoor photography session. 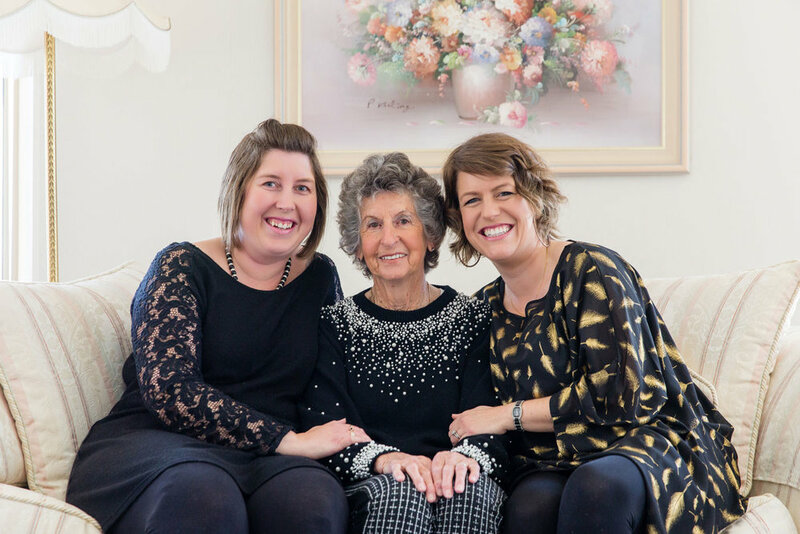 We also captured the four generations of females in the Taylor family. This was a surprise for Jades grandma when we showed up at her house, she really loved the experience as its not often all the girls can get together for a special photo shoot. The funniest thing was the girls all wore polka dots and this was just a coincidence!